Type and Characteristics - Wooden screw steam sloop, Kearsarge-class of 4 ships, built by Portsmouth Navy Yard, laid down 1861, launched 11 September 1861, completed 24 January 1862, 1,550 long tons, 201ft long x 33ft 8in beam x 14ft 3in draft, 11kts, originally armed with 2-11in smoothbore Dahlgren shell, 4-32pdr smoothbore, and 1-4.2in Parrott rifled muzzle loader guns, 163 crew, first commanded by Captain Charles W Pickering. Log Period and Areas of Service - 1862-64, Civil War. 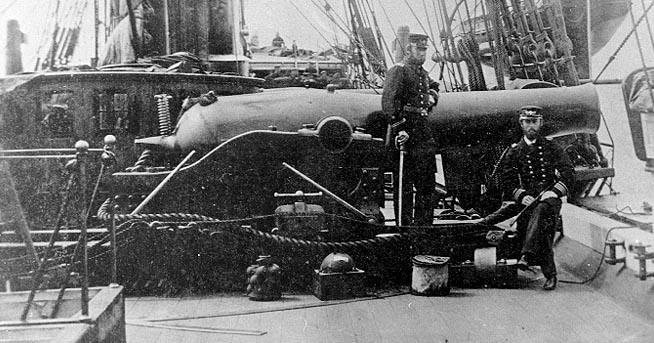 5 February 1862 - Departed Portsmouth for coast of Spain and Gibraltar to join blockade of Confederate raider Sumter. 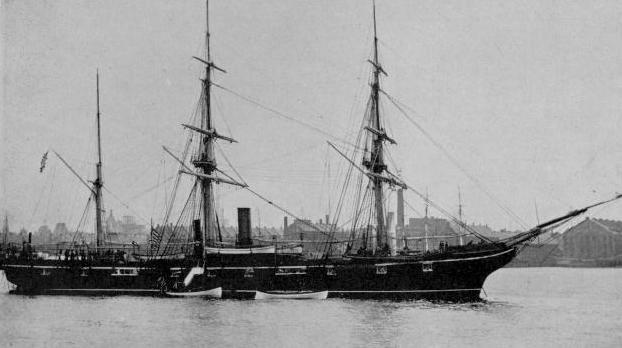 1862 - Sumter was abandoned, but her commander had commissioned raider Alabama off the Azores. 1863-64 - Searched for Alabama along coast of Northern Europe and to the Canaries and Madeira. 14 June 1864 - Discovered her in Cherbourg Harbor. 19 June 1864 - Alabama sailed to do battle with Kearsarge, now commanded by Captain John A. Winslow. One hour after action had been joined, Alabama was wrecked and sinking. 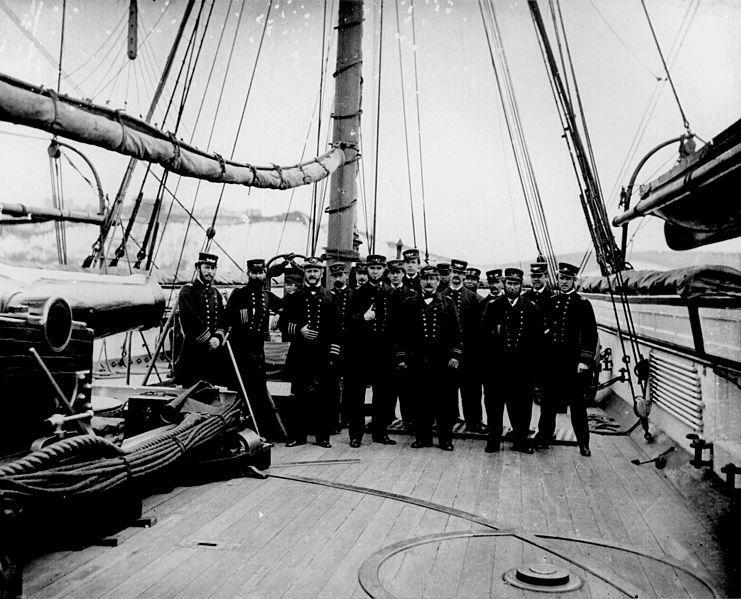 Subsequently searched the French coast for CSS Florida before heading west for the Caribbean, and returning to the USA. 26 November 1864 - Decommissioned at Boston for repairs. Fate: Wrecked Roncador Reef in the Caribbean, 2 February 1894.